1. Be realistic and prioritize. It’s important for you to be honest with yourself about your abilities, both on and off the field. Talk to your parents, your coaches and your teachers. They know how you play, where you’re at academically and they can offer honest guidance about what schools are realistic. Consider your grades, your true athletic abilities and where you see yourself post-college. Some schools might have a great baseball team but a not-so-great Computer Science program. Remember that the life you want after college sports, the real world, is important too. 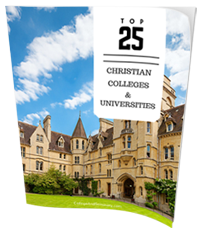 When it comes to a Christian school, consider what you think is a priority. Whether it’s a strong missions program or a specific denomination, decide what it is you won’t compromise on. 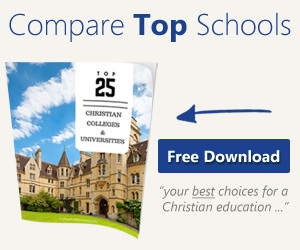 Look at all a school has to offer you when making your list of options. 2. Put in the prep work. Once you have an idea of where you want to go, look into the school’s athletic program. Get familiar with their most recent seasons and the stats of the current players. This will help give you an idea of what the program is looking for. Look for holes in the lineup they might want to fill. Maybe their starting forwards have three years left, meaning you’ll be benched. If playing is a priority, you’ll want to find programs with graduating seniors. Get an idea of what they’re looking for and how you can fit in with the team. This research will help with Tip #3. 3. Make contact & know your stuff. You can’t just sit around waiting for coaches to contact you. It’s up to you to do the work. Once you have an idea of where you want to go, look into the program to see their recruitment process. Some have online recruitment forms. Others tell you to contact the coach directly. Remember that the coach is receiving tons of emails just like yours, so make it stand out. It’s important to know the rules. AthelticScholarship.net is an online database than can help you and your parents navigate the process. Your high school coach should also be able to help you with this. Put the prep work to good use. Contact the coach. Let him know your stats in context with the programs recent seasons. Make it clear how you would be a good fit, and that you’re capable. Send a link to your video reel. Give him or her both athletic and academic references. Make it clear that you’d be an asset worthy of their money. Follow up. Be persistent, but not obnoxious. Did you receive my paperwork? Do you have any questions? If a coach seems interested in you, it’s important to visit the prospective school. You might get a chance to swim with the team, or at least sit in on a practice. It’ll also give you a chance to meet the coach in person, putting a face and personality to the emails. This is also their chance to get to know you and see what makes you special. Be sure to look into other parts of the school while you are there. Make the visit worthwhile, and see if this is a school and team you can see yourself being a part of for the next four years. If you met the coach and spent time with the team, send a handwritten thank you card. Be intentional. 5. Keep up with your grades when you get home. Coaches have to abide by the school rules and requirements. That means no exceptions for GPAs that fall below the required limit. You can be the best athlete in the world and still get rejected for failing calculus. Make school a priority. Hire a tutor if needed. The emphasis in athletic programs is on the idea of a “Student-Athlete.” That’s a 50/50 relationship. Don’t put school on the backburner. Excelling in your classes will prove you have what it takes, and it might be the deciding factor when earning a scholarship.